How do you stop your guacamole from turning brown? Well, a new and very clever container is here to save the day, promising to make being green SUPER easy! 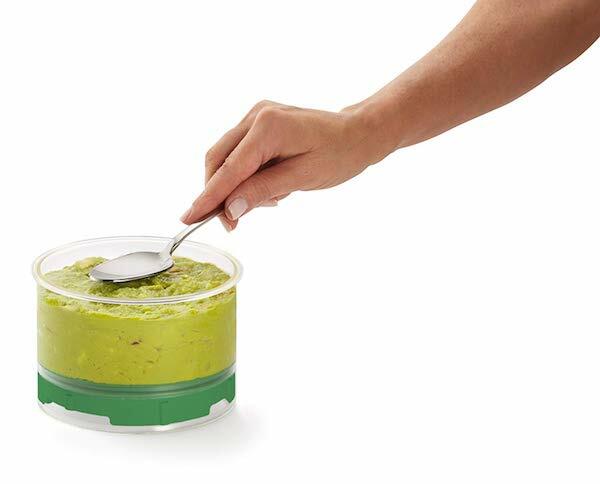 It’s called the Casabella Guac-Lock and it’s here to save your guacamole. Why is this device better than your average plastic container? Well, its built with a natty functionality that removes all the oxygen from the Guac Lock’s storage chamber. 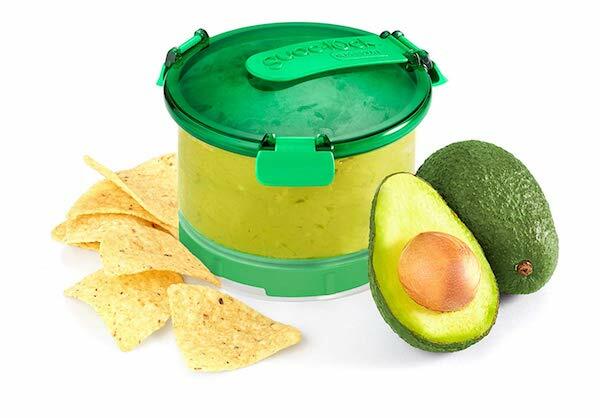 It’s that pesky oxygen that causes avocado to discolour, and this purpose-built device gently squeezes it out to keep your guac bright and green. 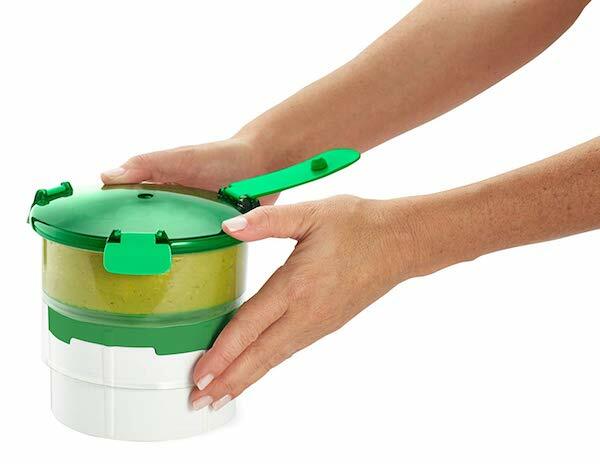 The Casabella Guac-Lock retails for under $25 and you can snap one up on Amazon where it’s sporting heaps of sparkling reviews with people noting that it kept their guacamole fresh for DAYS! 1. Pop the guacamole in and smooth it out. 2. Seal the container shut. Place container on ‘elevator’ attachment and push down gently. Squeeze out all the air until the guacamole appears at the top of the hole. 3. Get ready for delicious GREEN guacamole! Apparently blanching the whole fruit kills the enzyme that causes the flesh to brown when exposed to air. So you could give that a whirl too if you’re planning lots of guac-y days and are worried about that glum and unwelcome brown muddying your pretty green dip.